The Annual West Point Invitational Camporee is the largest Camporee in the North American Continent. Troop 179 has been fortunate to receive an invitation for the years 1997, 1998, 1999, and 2000. We hope to obtain an invitation yet again this coming year 2002. This event is for Cadette and Senior Girl Scouts as well as the same age range in Boy Scouts. Thousands of Scout go every year to compete in this camporee, and of course to steal our flamingoes!! 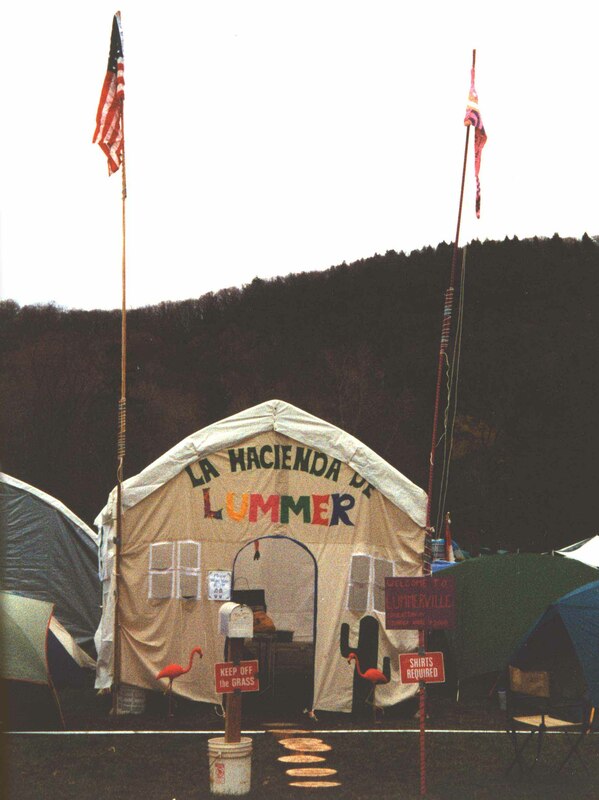 La Hacienda De Lummer, Cadet Aaron Lummer was the both our sponsor AND the Commanding Sergeant of the 2000 Camporee, he took quite a beating from his fellow Cadets for this gateway!. 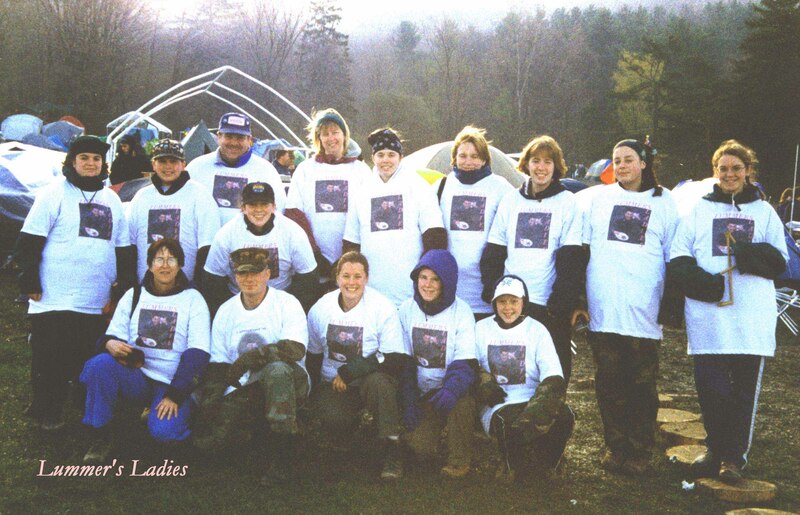 The 2nd picture is of 179 and adults wearing the infamous "Lummer's Ladies" T-shirts made for us by Pat Gode!